Prime Minister Narendra Modi on Monday said he was unperturbed by Bahujan Samaj Party (BSP) chief Mayawati's appeal to Muslims to vote for the alliance of her party and the Samajwadi Party to prevent the minority votes from getting split. Modi made the statement in an exclusive interview to Rahul Joshi, group editor-in-chief of Network18. The interview will be aired at 7 pm Tuesday night on CNN-News18 and all other 19 news channels of the network. Firstpost will also stream the interview live. At a rally in Uttar Pradesh's Deoband on Sunday, Mayawati had said: "I would like to tell Muslim voters to not waste their vote on the Congress. The Congress is not in this fight. We are fighting the BJP, and we will win." On these remarks, Modi said it was "unsurprising" that Mayawati was making such statements "as she is facing defeat". "She is appealing to Muslims to specifically vote for her. This is a matter for the Election Commission to look into. I am less worried about Mayawati. She is part of a sinking ship and is looking to Muslims for support," the prime minister said. However, he questioned why the "secular brigade" was silent on her remarks. "Had someone made such an appeal to Hindus, they would have expressed outrage. The 'award wapsi' gang would have returned their awards and a signature campaign would have started. Why is this group silent? This is a worrying subject for the nation. I request you to expose such elements. Why are they selective? Don't these remarks hurt their secularism? Did this statement boost their secularism?" 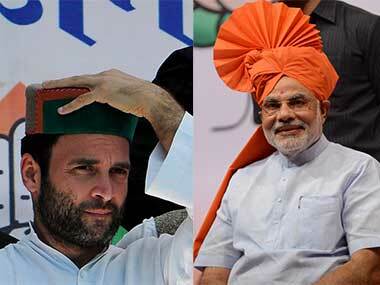 "The biggest threat to India are these people who hide behind the mask of secularism. Mayawati is looking for a means to survive in politics. She will continue to try to gather votes by any means." When asked about his opinion on whether the SP-BSP alliance would work and its appeal to 42 to 45 percent of the voters in Uttar Pradesh, Modi said he did not believe they would succeed in their agenda. The prime minister remarked that the two parties were once enemies who were willing to harm each other, and that when such parties unite, it means they are fighting for survival. "They are looking for a lifeline, but I don't think they will succeed," he added. Modi also expressed confidence that the BJP will "expand its footprint across the country", including in West Bengal, Odisha and the North East. "We are rising across the country, so our seat tally will go up. We will maintain our hold where we had won the most and boost our vote share. We will also make gains where we lost one or two seats. 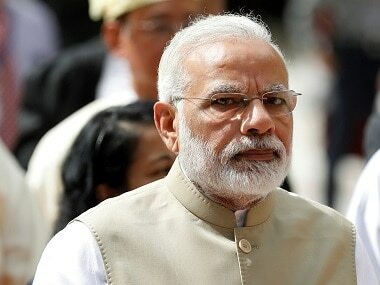 There is a wave in our favour across India," the prime minister said. 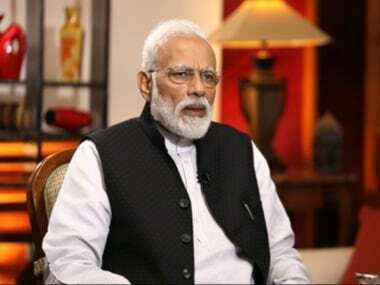 In the interview, Modi addressed several other issues such as the impact of the "Mahagathbandhan" in Uttar Pradesh, Congress chief Rahul Gandhi's Rafale campaign, India-China relations, economic growth, demonetisation and why he thinks India would have achieved a lot more success a lot faster if Sardar Patel had been prime minister instead of Jawaharlal Nehru.